Provide comfort for the family of Mrs. Margaret Merlin with a meaningful gesture of sympathy. 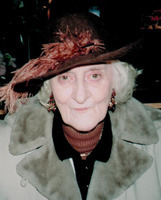 It is with great sorrow we announce the peaceful passing of our beloved Mother, Margaret “Peggy” June Merlin on January 22nd, 2019. Peggy was born to the delight of her Scottish parents Murdoch and Annie Cameron nee (McTaggert) on June 24th, 1926 in their home on Brodie St., Fort William, Ontario. She was an only child and was cherished and raised by all the extended family members who lived together in their family home. These people included her favorite aunt who played piano for the silent movies at the Orpheum Theatre, her uncle who was a land surveyor and had two pet black bear cubs in their barn, her pioneer grandfather who built their homestead, and her father who was a steam locomotive engineer for the C.P.R. He was also a 32nd degree Scottish Rite Free Mason and finally her mother who was a devout Christian Scientist and a talented seamstress of Vogue fashion patterns as well as an accomplished baker and cook. They all shared in raising “Peggy” to become the compassionate, extraordinary individual she grew up to be. Peggy's family home was filled with music, bagpipes, Scottish traditions, philosophical conversations, loyal friendships, fine food, laughter, prayer and love. All of mum's passions for life came from this rich tapestry which included her love of music, literature, figure skating, fashion design, baking, cooking, Teddy Bears, nature, family and being Home! Peggy embraced life and found silver linings in all challenges. She worked for CKPR radio back in its original days. She loved being sent out on special assignments. She also had a long career as a pianist, organist and soloist performing for weddings, funerals and services throughout the community. Mum was a lifelong member of the Christian Science Church and played music for the congregation for over 70 years. She finally retired at 85 years of age, ending a long career of service with a hearty exclamation of "Thank God!". Peggy married the love of her life Jack Merlin in 1953. Together they had two children William and Anne. Jack and Peggy were together 53 years before his passing in January of 2007. Mum loved children and Peggy and Jack took much delight in becoming grandparents to their beautiful granddaughters Julia and Andrea. Peggy Merlin will be greatly missed by her son William, daughter Anne, grandchildren Julia (David) of Montreal, Andrea (Craig) of Saskatoon, niece Marilyn (Larry) Oram, nephew Lyle (Joanne) Capstick and their families. Peggy will be lovingly remembered for her sharp wit, zest for life, beautiful voice and compassionate heart. Cremation has already taken place and a private interment will follow at a later date. The family wishes to express their deep gratitude to the Willow Transitional Care Unit staff team for their exceptional care given. A big hug especially to nurse Vanessa who is a true angel! In lieu of flowers Peggy wishes you all to take time for a "quiet cup of tea", and to insure a rich garden of life to plant seeds. Seeds of Hope, Seeds of Peace, Seeds of Joy and always Seeds of Love. 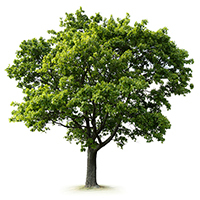 To plant a memorial tree in honor of Mrs. Margaret June "Peggy" Merlin (Cameron), please visit our Heartfelt Sympathies Store. We encourage you to share your most beloved memories of Mrs. Margaret here, so that the family and other loved ones can always see it. You can upload cherished photographs, or share your favorite stories, and can even comment on those shared by others. We would like to honour the life of Peggy, dearest friend of our Mother, who touched all of our lives with humour, talent and love. Always remembered and cherished. A beautiful tribute to a woman who I remember to be larger than life. I met her many times coming out to see plays. May she rest in peace and sorry Anne and Will for your loss.